Popular requests included in this release include the volleyball, taco, middle finger and champagne bottle; as well as new faces for sickness, thinking, and rolling eyes. iOS 9.1 has been in testing for the past month and is now available to the general public. If you start seeing missing-character aliens in messages from friends, this update could be why. View our compiled list of every emoji that is new in iOS 9.1 or read on for more details about this update. The People category of iOS has been renamed Smileys and People. It includes all of the yellow emoticon-style moods, as well as the human faces, families, clothes, and hand gestures. In addition, the dancer, runner, and pedestrian are back in this first section (they were in Activities in iOS 9.0). Above: New hand gestures available in iOS 9.1. Faces and hand gestures tend to be the most popular emojis, and this update will likely be no different. Of particular note is the middle finger, which has been the #1 emoji on Emojipedia for the past twelve months. This is now available to iOS users for the first time. The 🖖 Vulcan Salute emoji is not new in iOS 9.1, but this is the first time it has appeared on the emoji keyboard. When first released in iOS 8.3, this emoji was hidden. Some new characters, such as the nerd face, zipper-mouth face, and money-mouth face were implemented for compatibility with Yahoo Messenger. Also included is a metallic face, added for compatibility with the previous Gmail emoticon set. 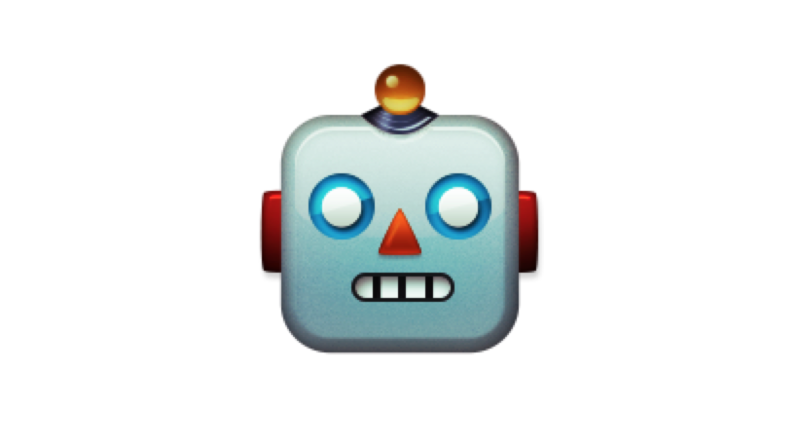 I, for one, welcome our new robot (emoji) overlords. The lion has a sad, timid look; and is already a crowd pleaser as a result. The turkey has arrived in time for Thanksgiving in the USA. The four leaf clover emoji still exists, and is distinct from the shamrock emoji. Grouped in the Animals & Nature category are new weather emojis for every forecast. Above: Four new types of cloud emojis in iOS 9.1. Some are very similar to existing emojis — with the 🌤 White Sun With Small Cloud showing just a glimpse more sun than the ⛅ Sun Behind Cloud emoji; or the 🌫 Fog emoji which has completely obscured the view of that lovely bridge from the 🌁 Foggy emoji. This brings the total number of umbrella-related emojis to five. Above: Now iOS users have a choice of five umbrella emojis. 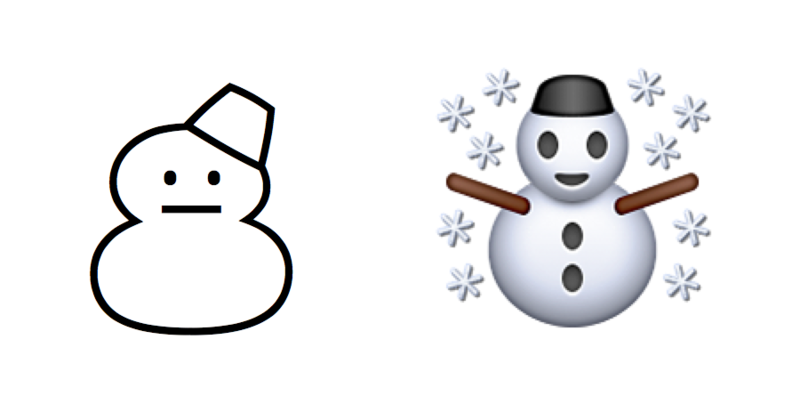 Lastly, the ⛄ Snowman Without Snow emoji gets his companion from Unicode 1.1 now available with emoji presentation. Some of the most popular emoji additions in iOS 9.1 are going to be the food and drink entries. The cheese, hot dog, taco, popcorn, and champagne are frequently requested, and now available. Above: New emoji additions to the food and drink category. Looking for the bacon, paella, or avocado emoji? Those are still in the candidate stage, and won't make it to the Unicode Standard until mid-2016. The majority of the additions to the sport (activity) category on iOS 9.1 are from the Unicode 8.0 update, which was approved in June 2015. One of the goals of Unicode 8.0 was to add sports that are popular globally, but have not previously been available as emojis. Characters that have visible skin, such as the basketballer and weight lifter have variations of each skin tone available. Above: Human-looking emojis have diverse skin tone options. 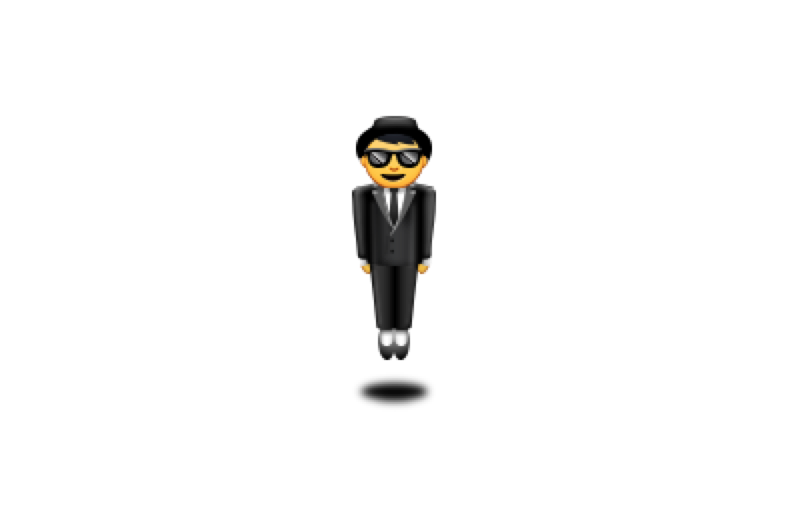 In addition to the new sports in the Activity category, the 🕴 Man in Business Suit Levitating is also now available. Above: Man in Business Suit Levitating. Included as part of Unicode 7.0 in 2014, this emoji was added for compatibility with the Webdings font. 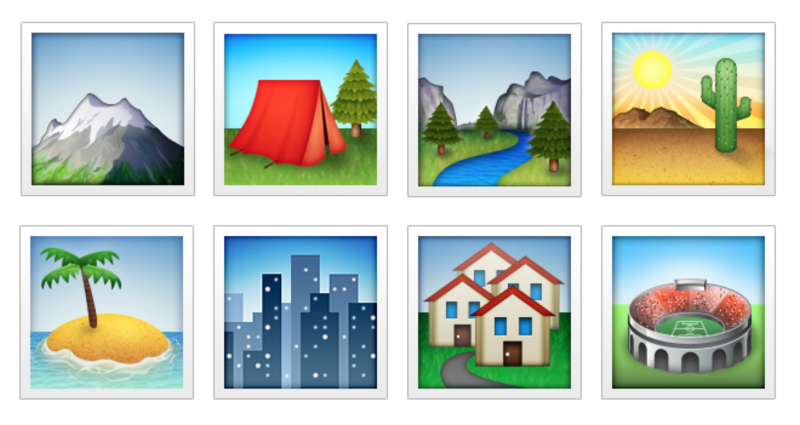 A beautiful selection of new emoji scenery can now be found in the Travel & Places category of iOS 9.1. Above: Someone hang these in a gallery. New in iOS 9.1. Mostly comprising scenes such as mountains, beaches or parks, a new world map emoji is also included. More faiths and religions are covered in this update, with a mixture of new emoji additions, and updates to older Unicode characters. Above: A mosque, synagogue, shinto shrine and prayer beads. A general 🛐 Place of Worship emoji is intended as a catch-all symbol for any religions. A Buddha emoji was on the candidate list for Unicode 8.0 originally, but removed due to Unicode selection criteria which recommends against adding emojis of people or deities. The Star of David emoji is visually similar to the existing Six Pointed Star With Middle Dot emoji, but are distinct codepoints. If there's something people often say about emoji, it's that there aren't enough types of trains, cars, and other transport options. Most of these transport emojis were approved as part of Unicode 7.0, pre-dating selection factors such as "expected usage level". After a brief dalliance with combining the Objects and Symbols categories in iOS 8.3, these are have been split back into distinct sections once again in iOS 9.1. Popular object emojis added in this update include the bed, shopping bags, candle, and framed picture. Additional symbols in iOS 9.1 primarily come from Unicode 1.1, Unicode 4.1, and Unicode 7.0. Above: Some new symbols in iOS 9.1 were available prior to this update, as black and white text characters. Given that many of these symbols pre-date emoji, they will frequently have a ☯ text presentation, in addition to the new ☯️ emoji presentation. Support for both text and emoji presentation of specified characters is quite good in iOS and OS X, but less consistent on other major platforms. As a result of this re-organization, the music notes have come home to their rightful category — the one that has a music note as part of the icon. First appearing in early builds of iOS 9.1, a new eye in speech bubble emoji has been included in this latest update from Apple. Emojis implemented using ZWJs don't have official names as part of the Unicode Standard. It's up to the implementer to decide on an appropriate name for the sequence that is being joined. 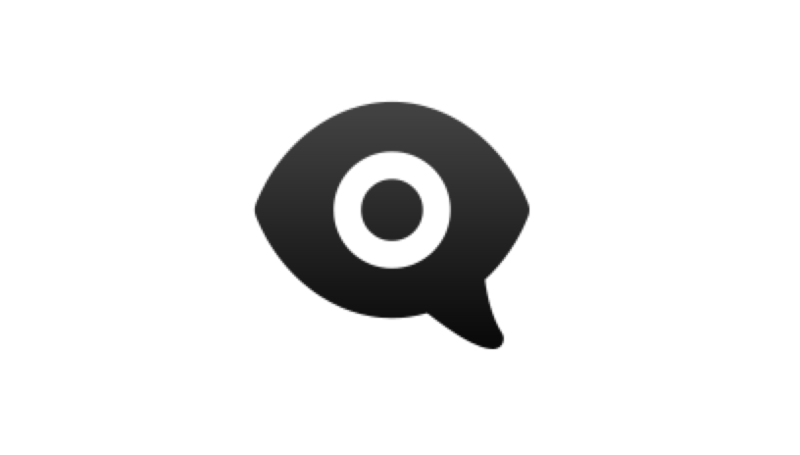 "Eye in speech bubble representing anti bullying campaign"
At the time of writing, Apple has not provided further information about this anti-bullying campaign, or their involvement. Notably, Apple also included the left speech bubble emoji in this update for the first time, despite it not being considered a standard addition for emoji presentation. This is the only character that has been given emoji presentation by Apple, that is not one of the standard emoji additions. Update October 22, 2015: Details of this emoji have been published by Robbie Gonzalez of Wired. This is part of the I Am A Witness Anti-Bullying Campaign launched by the Ad Council this morning. Existing emojis mostly remain the same in iOS 9.1. 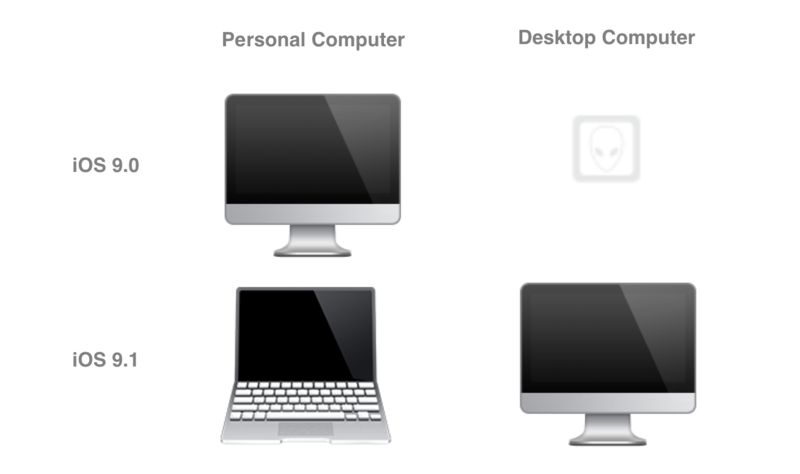 One exception is the 💻 Personal Computer emoji. This was displayed as an iMac in iOS 9.0, but has turned into a MacBook in iOS 9.1. In turn, the iMac has been moved to the 🖥 Desktop Computer, which was introduced as part of Unicode 7.0. Lastly, the 🔩 Nut and Bolt has been fixed to show a bolt instead of a screw. At last! What does it mean to include every single emoji? Every emoji that has been approved by Unicode is included in iOS 9.1; no matter how obscure, redundant, or outdated. This completionist approach helps Apple avoid accusations of bias if some approved emojis are included in iOS, but others are not. It may also be a suitable shield against requests to remove emojis, such as the gun, or middle finger. Symbol emojis are grouped by color in iOS 9.1, which not only looks pleasant, but also makes finding the correct emoji easier. In testing the new emoji keyboard during the beta period, I have found this a surprisingly effective way to find the symbol emoji that I am looking for. It does require knowing the color, which is not a problem for me, but I wonder how others will find this change. No new emoji flags have been added in this update. iOS 9.0 added support for 44 new flags one month ago. Above: 44 new flags added in iOS 9.0 last month. A proposal that would allow flags for US states, as well as England, Scotland, and Wales is now under review at Unicode. The next emoji update is scheduled for mid-2016. Currently at the candidate stage, Unicode 9.0 includes additions such as the face palm and nauseated face. Above: Our original sample images for Unicode 9 candidates. As with all Unicode updates, it's up to individual platform vendors to decide if and when they implement the latest emojis approvals. The earliest Apple is likely to add any of the new Unicode 9 emojis to iOS is with iOS 10, or if previous years are anything to go by, a point-release after iOS 10. If the anti-bullying campaign emoji is any indicator of things to come, we might see future emojis from Apple that combine a sequence of existing characters to create new emojis, too. Note: This article was updated on May 23, 2016 to note changes to the nut and bolt emoji not discovered at the time of writing. Also not included above is a late addition that Eject Symbol is intended for emoji presentation, but only has a text version within this update and does not appear on the emoji keyboard. The folks at Mozilla are hard at work creating a new release of Firefox OS with emoji support. 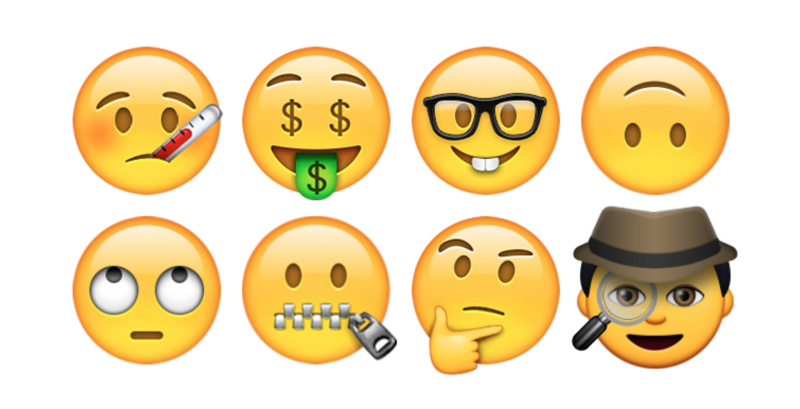 Here's a look at the emojis planned to ship with Firefox OS in early 2016.